Do You Know How Different Bit Rates Affect the Quality of Sound? If you love listening to music, be it jazz, dance, rock, or house, understanding bit rates is important. 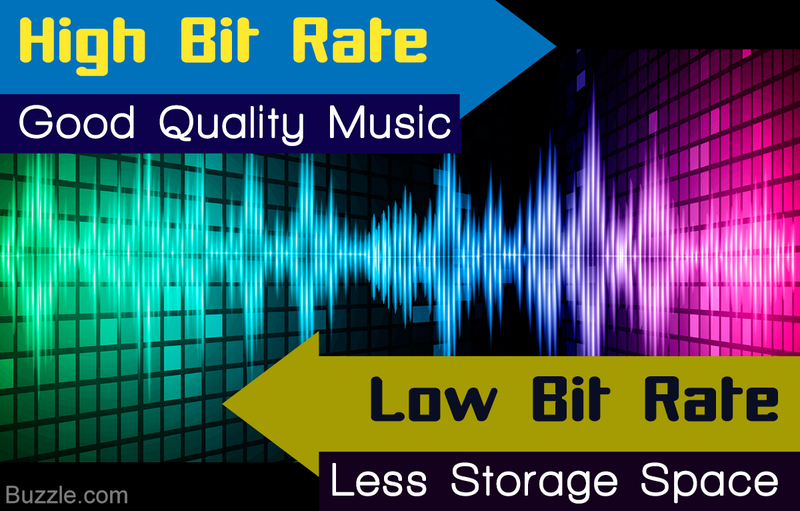 This write-up helps you understand the concept of bit rate, and choose the appropriate one while downloading music. FLAC and ALAC (Apple Lossless) are audio formats similar to mp3, but deliver compressed audio without any loss in quality. Music means different things to different people. It means 'blues' to the oldies, 'jazz/instrumental' to the more enthusiastic working class, 'pop/rock/house' to the youth, and 'Do-Re-Mi' to the kids. If you are really keen to listen to quality music, and possess the right equipment to do so (the effect of house music for instance would surely be better on a surround sound system than on earphones); you need to find an appropriate bit rate which would utilize the potential of your equipment, and provide the best possible quality of music to your ears. You will find the concept of mp3 bit rates explained in section that follows, along with some tips to decide upon a bit rate as per your priorities/preferences. Next discussed are the complexities of bit rates, to provide a verdict at the end, determining which is better. A bit is the smallest unit of data a computer can process. Any and every computer file is made up of bits; the computer processes these tiny bits of data to create a picture of the complete file. Bit rate is the number of bits processed over a certain amount of time. In case of music files, the bit rate is measured as kilobits (equivalent to 1,000 bits) per second. You must have had these options while downloading a music track: 64 kbps, 128 kbps, 196 kbps, or 320 kbps; which simply mean the amount of data/bits stored in every second of the song. It also gets clear from the description that a music file of a higher bit rate will take more space than a lower bit rate.The now traditional concept of audio CD provided original studio quality song with highest possible bit rate; the lower bit rates are possible by compressing the files and altering certain elements, which degrade the quality of music. For instance, let's assume that one buys a branded mobile phone and a cloned copy of the same phone. Both look same from the outside, but the quality differs vastly from the inside. Let's take another example; look at this image. Both of them look similar, don't they? Perhaps taking a closer look would reveal that the one on the left is actually a good quality image, and the one besides it is a low quality one. This is because, the one on the left is a .png image, whereas, the one on the right is a compressed .jpeg version of the .png file. Though a higher bit rate provides good quality audio, it takes up more space on your hard drive or memory device. Another advantage of a higher bit rate track is that, the file can be compressed to a lower bit rate, but the reverse isn't possible. Again, the quality versus quantity debate arises. If you choose quantity, you get to hear more songs, but by compromising the quality of the songs. On the other hand, choosing quality would enable you to hear less songs, thus compromising on quantity. Does the Bit Rate Actually Matter? It depends on your preferences and available technology. If listening to music is your only criteria, bit rate doesn't really matter. If listening to quality music with the right equipment is what you're looking forward to, then bit rate is very important. Since storage has become cheap and portable with the advancement in technology, listening to quality music has become quite a hobby among enthusiasts, and convenient too. The emergence of portable hard drives, pen drives, on-the-go devices, etc., allow you to satisfy your craving for good music almost anywhere. 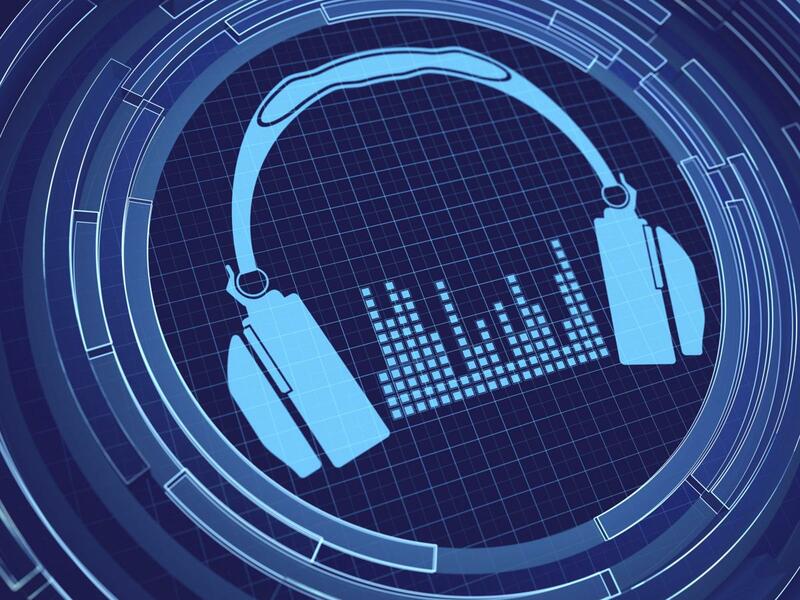 If you're listening to a track in 128, 196, and 320 kbps, using good quality headphones or speakers, you are sure to notice slight differences in all three with respect to distinction between different instruments, depth, bass, and the overall level of detail present in each version of the same track. But, if you listen to these variations using low quality headphones or speakers, you won't really spot a vast difference. So having the right kind of equipment or device is also necessary to reap available benefits. Another criterion that may be of significance here is the type of music one is hearing. Music like jazz and instrumental produces best effects on higher bit rates, whereas, genres of music like country music, rap, or blues could also work well with lower bit rates. Constant Bit Rates (CBR), as the name suggests, are fixed bit rates that continue for the entire track. As you know, any music track has simple and complex notes; hence, they would require fluctuating or variable bit rates, lower for the simple notes and higher for the more complex notes. In case of a constant bit rate, a lot of precious data or kilobits is wasted upon simple notes, which do not require such high bit rates. In the most ideal case, this wastage should be avoided, and the most demanding sections of the track should be provided with higher but sufficient bit rates, and vice versa. CBR is easier to encode as well as decode, and are consistent with respect to file sizes. This type of bit rate also supports a majority of music players and music applications. Variable Bit Rates (VBR), on the other hand, keep changing through the entire music track. In this case, the encoding analyzes the audio file and adapts to different sections of audio with suitable bit rates in a proportionate manner; the higher to the more complex patches and lower to the simple ones. This method of encoding is preferred, as it uses the available kilobits of data in the most justified manner while enhancing the quality of the audio file. When encoding a track with VBR, the software usually prompts the user to choose a desired overall quality for the resulting file. Once this is mentioned, the software uses the available data to encode the track; the higher the quality, more data would be required. There are two major conclusions which can be drawn from the given description. Firstly, the optimal bit rate is that which would provide quality music as per your expectations, without consuming much space on your memory. The optimal for most people ranges from 128 kbps to 320 kbps. Secondly, choosing variable bit rates is ideal, but the process of encoding here is much harder and time-consuming; such tracks aren't easily accessible and won't support old music players and applications. On the other hand, constant bit rates are easy to encode, and are easily accessible as well as have a wide compatibility. Choose the type of encoding as per the genre of music and your hearing preferences.